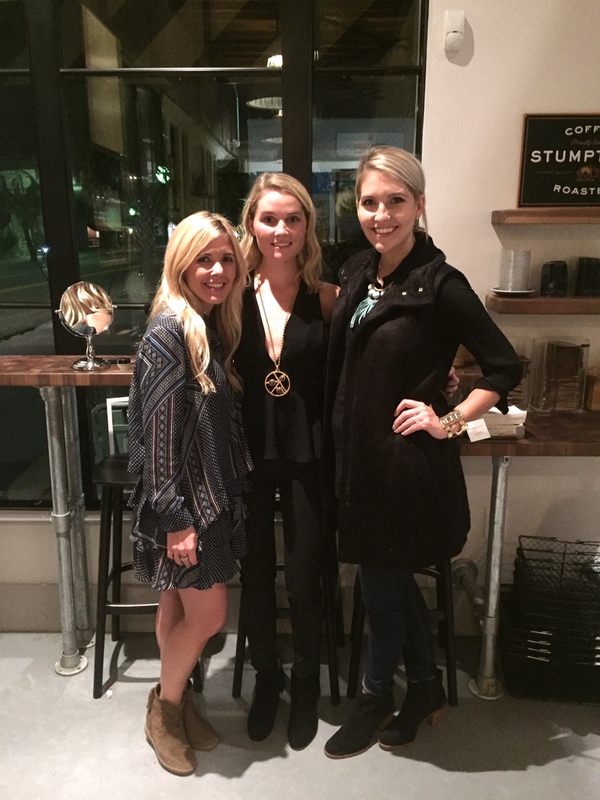 I totally fell in love with every single piece of Hyla’s jewelry last night at the trunk show. Honestly, every one of them. Thank you to everyone who came, by the way! It was a blast. I just had to snap pictures of my favorite pieces to share with y’all. Can I please add all of these to the Christmas list I posted yesterday? It’s all disgustingly gorgeous and I want it all. Here are a few of us last night. That’s Christi and Drew. I wore this vest, these jeans, and these new booties from Rowen. And some of Hyla’s pieces of course (this necklace and this bracelet)! 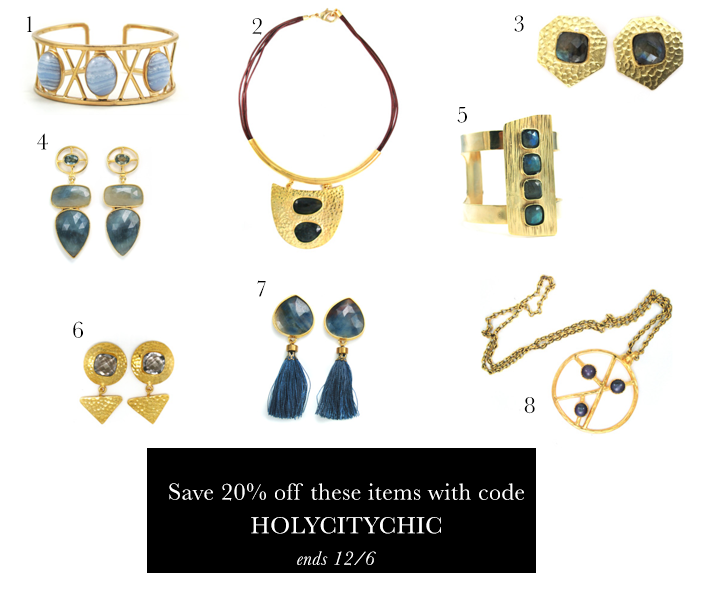 Pictured below are some of my favorites from the trunk show …and you can save 20% off many of them if you use code HOLYCITYCHIC. Scroll all the way to the bottom of this post to see which items are in my updated curated collection. This deal is good through this Sunday, 12/6 at 11:59pm! Not on the website, but see the Bolivar Cuff! Not online, but check out the Beth Pendant! Seriously beautiful jewelry! How would you ever pick a favorite? !